April Music is a name with which frequent readers of the SoundStage! Network will be familiar. Based in South Korea, this audio company has been building high-end components since 1998, and over the years several of their products have been reviewed on the SoundStage! Network websites. April Music is the parent company of the Aura, Stello, and Eximus brands, each of which offers components to fulfill a certain level of aesthetic appeal and sonic performance at their given price points. The Eximus line comprises two CD players, while the Aura and Stello brands each offer an integrated amplifier and a CD player. 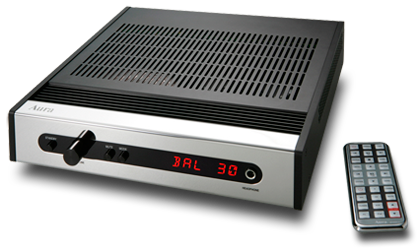 The Aura line also includes the Note Premier, a single-box CD player and integrated amp. The subjects of this review are the Aura Groove integrated amplifier ($1895 USD) and the Aura Neo CD player-DAC ($1795). Essentially, these models are the result of splitting the Aura Note Premier into separate components. However, the Groove offers 25Wpc more power than the Note Premier. An advantage of the two-box approach is that the buyer can experiment with CD players and integrated amps from other manufacturers to achieve another sound. However, given that the Groove and the Neo are the perfect aesthetic complements to one another -- and because their cabinets are much narrower than the 17” standard adopted by many manufacturers -- one might prefer just to keep them together. Measuring only 11.2"W x 2.9"H x 11.7"D and weighing just over 14 pounds, the Aura Groove is one of the smaller integrated amplifiers on the market -- it will never be accused of being obtrusive. One can easily imagine it serving nicely in a bedroom, office, or even a kitchen setup. But don’t let the Groove’s size deceive you. Its little chassis conceals a sturdy amplifier section claimed to output 75Wpc into 8 ohms (its output into 4 ohms is not specified). This is made possible by a sizable power transformer and Hitachi MOSFET J162 and K1058 transistors, arranged in a parallel push-pull output configuration. While owners of lower-impedance speakers (i.e., 4 ohms or less) might find the Groove underpowered, in my experience 75Wpc is enough to get most speakers to sing in a medium-size room. I used the Groove with a pair of Amphion Argon3Ls (87dB sensitivity, 8-ohm impedance), and had more power than I could possibly use. The Groove’s host of connections should satisfy most needs. There are four analog inputs (one balanced, three unbalanced) and two analog outputs. One of these outputs bypasses the Groove’s power-amp section and allows its preamp section to be used either with a separate power amplifier, or with a separate power amplifier in conjunction with the Groove’s own power-amp section. Alternately, the Pre Out can be used to connect a subwoofer. There is also a Rec Out for recording on tape. The Groove offers two features that many of its competitors don’t -- a PC USB input and an iPod input -- and, in a nice touch, April Music has included cables for both. Via the USB input, a computer can be connected directly to the Groove, in which case the Groove assumes responsibility for D/A conversion, while the iPod input allows an iPod to be connected directly to the Groove. When the Groove has detected that an iPod has been connected, its remote control can then operate the iPod as it would a CD player. Hit the Menu button on the remote to access playlists, artists, albums, songs, genres, etc., all of which can be displayed on the front panel. Speaking of that front panel, the Groove’s mirror-finished faceplate has a very simple layout of a display that shows the selected input and volume level, a volume dial, and three pushbuttons: Standby, Mute, and Mode (i.e., inputs). Impressively the Groove has a Cirrus Logic CS3310 digital volume control, the same one found in April Music’s considerably more expensive Stello Ai500, which I reviewed early last year. Next to the display is a 1/4” headphone jack. The Neo is a full-featured, top-loading CD player measuring 11.2"W x 3"H x 10.8"D and weighing nine pounds. A thick piece of glass covers the disc well, and a stabilizing puck of solid metal holds the CD in place. The Sanyo drive mechanism is linked to an AK4117 digital audio receiver designed and built by Japanese manufacturer Asahi Kasei. This microprocessor, which supports sample rates of up to 192kHz and bit depths up to 24, works in conjunction with an AK4125 24-bit/192kHz stereo digital sample-rate converter, which can upsample to 96 or 192kHz signals from CDs, or from an external digital source such as a computer. A Cirrus Logic CS4392 chip handles the actual digital-to-analog conversion. What makes the Neo relevant in an age of decreasing CD sales and growing numbers of hard-drive-based music systems is that it not only plays CDs, it also offers a USB input in addition to digital coaxial and TosLink inputs. All of these can accept digital signals with resolutions up to 24/96. Via the Neo’s remote control, the listener can choose: 44.1kHz, or upsampled to 96 or 192kHz. The Neo has balanced XLR and unbalanced RCA outputs. All of my listening was done using the Neo connected to the Groove in an unbalanced configuration via Kimber Kable Tonic interconnects. I don’t own a pair of balanced cables and thus was unable to link the Aura components this way. 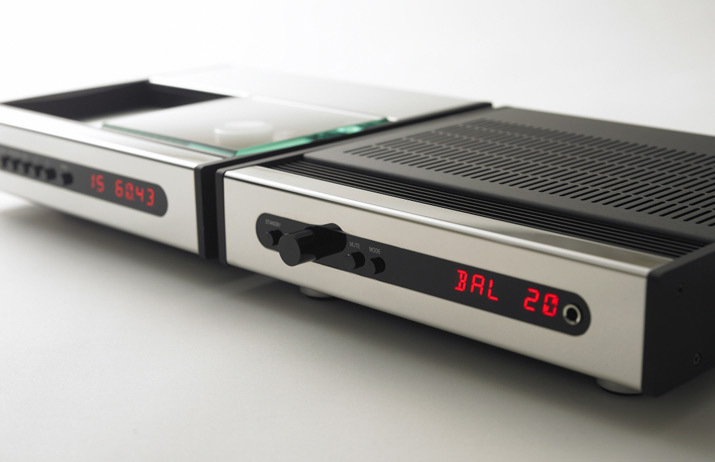 The Neo can be used as a CD transport only, in which case the digital signal can be sent to an outboard DAC via the Neo’s digital coaxial or TosLink outputs. I can’t imagine spending $1795 on a CD player-DAC only to use it as a transport, but at least April Music gives the buyer the option of doing so. For a reviewer, however, such an option is extremely helpful, as it allows easy comparison with other digital sources. Aura’s Groove-Neo combo offered every connection I could hope for in a stereo setup. I was especially impressed by the fact that the Neo is also a D/A converter, as this allowed me to wirelessly stream music from my iMac to an Apple Airport Express, and then to the Neo via an optical cable. About the only thing missing from the Aura setup was a phono stage. My only reservation about the Groove and Neo was their appearance. As with sound, appearance is a matter of personal taste, and the Aura aesthetic isn’t my cup of tea. The mirrored finish and red alphanumeric display (which can be dimmed or turned off altogether) were nice but seemed a bit dated. 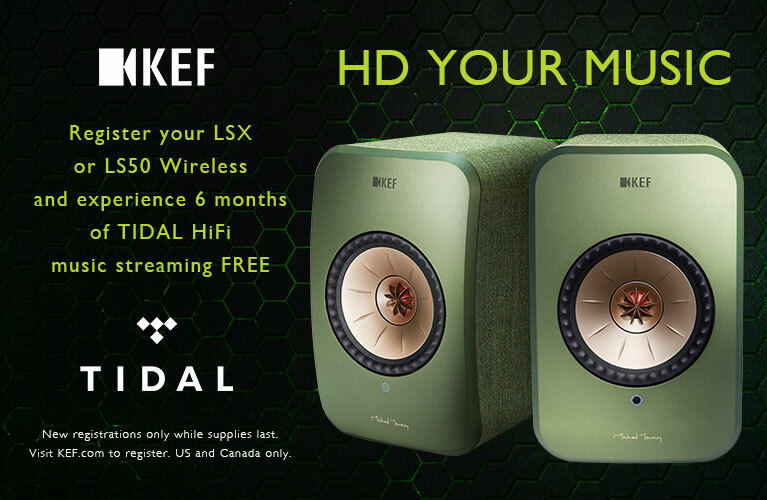 That aside, these components were designed for people who have neither the space nor the desire for bigger components, but who still want great sound. On those terms, I can absolutely understand someone really admiring the Auras’ design. Because I was asked to write a single review covering the Aura Groove and Neo, I did all of my listening using the two of them together. I connected the Aura Groove to Amphion’s Argon3L floorstanding speakers with AudioQuest Type 4 speaker cables, and plugged everything into an ExactPower EP15A power conditioner. One of the first things I did with the Neo CD player was to test its various sampling rates (Bypass/44.1kHz, 96kHz, and 192kHz), to find the one I most wanted to use for the review. I started off listening to Bob Dylan’s “It’s Alright, Ma (I’m Only Bleeding),” from his Bringing It All Back Home (CD, Columbia CK 92401). I closed my eyes so that I couldn’t see the sampling rate on the display, and began scrolling through the three options. Unfortunately (or fortunately, depending on one’s perspective), I couldn’t hear huge differences between them; I tended to prefer whichever was playing at the time. I experimented a bit further by listening to a more recent recording -- Massive Attack’s 2010 album, Heligoland (CD, Virgin 5099960946621) -- and subtleties began to emerge. Upsampled to 192kHz, the music sounded a bit tighter, more focused, and was presented across a slightly more constrained soundstage than at 16/44.1. Upsampling to 96kHz sounded similar, but in Bypass mode the music was somewhat fatter and fuller. The differences between the sampling rates weren’t monumental, but I did have fun trying to guess which was playing while my eyes were shut. It’s nice that the Neo offers the option of finding what works best in a particular setup. One of the first things I heard from the Groove and Neo was that they were very adept at portraying voices in a natural way. Overall, they did a great job of producing a clear, uncluttered midrange that, despite sounding detailed and open, never called attention to itself. In “Take It With Me,” from Tom Waits’s Mule Variations (CD, Anti-/Epitaph 86547-2), the singer’s gruff voice sounded so incredibly pure and vivid that he seemed to be sitting just a few feet away. The level of realism and presence conveyed by the system was outstanding, and put its performance squarely in the high-end realm. Similar to the Stello Ai500 integrated amplifier, the Groove and Neo offered a neutral sound that revealed differences in recording quality. The Auras managed an interesting balancing act, portraying a warm, full sound while retaining healthy doses of detail and transparency, particularly through the midrange. No, the Groove and Neo weren’t the most transparent electronics I’ve ever heard, and certainly weren’t in the same league as their exceptionally transparent, upscale sibling, the Stello Ai500; that said, music was never clouded or obscured -- it just didn’t emerge from a pitch-black background. For example, Tori Amos’s acoustic piano in “Horses,” from her Boys for Pele (CD, eastwest A2 82862), sounded full and rich, and her voice was detailed and clear and emanated from center stage, just back of the plane described by the speaker baffles. As is often the case on her albums, Amos’s voice is the focal point of the stage, and the Aura components portrayed it as such. What I didn’t hear from this track through the Auras was something I’ve heard from more expensive electronics: the complete decay of the piano notes. Some components offer an airier sound that better conveys the space around the music, and that wasn’t as clearly portrayed through the Groove and Neo; however, to put this in context, the differences weren’t enormous; you’d have to pay considerably more for that last bit of resolution. One thing that really impressed me about the Auras was how well they mated with the Amphion Argon3L speakers. The Argons are extremely revealing, and their exceptional transparency lets me hear the more subtle nuances of well-recorded music. The Groove and Neo offered a warmer sound that detracted somewhat from the level of detail the Argon3Ls are capable of revealing, but not to the detriment of the system’s overall musicality. The Auras and Amphions balanced one another nicely, producing sufficient detail while taking advantage of the fact that the Argons can play with some serious weight down low. This resulted in a fuller yet still transparent sound that was engaging and musical. Because the system never strayed toward sounding analytical, it was easy to enjoy listening to it for hours at a time. I was curious about whether the Groove, with a maximum output of 75Wpc, would be able to drive the Amphions to higher volumes with the ease one should expect of solid-state electronics in this price range. Any concern I had over whether the Groove could power the Argons to toe-tapping, head-nodding, full-on rockin’ levels was quenched when I lowered Big Boi’s Sir Lucious Left Foot: The Son of Chico Dusty (CD, Def Jam B001437702) into the Neo’s disc well and played “General Patton.” Yowsers! The heft and weight of the bass were impressive as the Auras maintained great clarity and definition, even at higher volumes. This provided a rock-solid underpinning for the lucid midrange, which was wonderfully open and easily allowed me to hear into the track. I suggested earlier that the Auras’ smallness makes them well suited to a bedroom, office, or kitchen system, but I think they could easily power a pair of reasonably efficient speakers in a larger room. I never got the sense that I was running out of headroom, even as I put the system through its paces at louder volumes. The Groove and Neo were capable of producing a large, three-dimensional soundstage when a recording contained such information. Listening to “Give Up the Ghost,” from Radiohead’s latest album, The King of Limbs (CD, Ticker Tape TICK001CD), I was treated to a complete wall of sound across the front of my room. Thom Yorke’s voice was placed just inside the left speaker, while the hollow thud of (presumably) Yorke rapping the body of an acoustic guitar bloomed from the center of the stage. Yorke’s voice on this track is soaked in reverb, and through the Groove and Neo it filled the room in front of me with a warm, voluminous tone that was portrayed with a wonderful sense of ease. On “Bloom,” from the same disc, the Auras again created a wall-to-wall, three-dimensional soundscape that enveloped me and the room. Radiohead has a knack for writing songs that sound intimate yet expansive, conveying a feeling of isolation that the Groove and Neo ably reproduced. I plugged my iPod into the Groove using the supplied cable, and after playing with the remote for a few minutes I was able to figure out how to navigate my music library. For some reason, the Groove was unable to play all the music on my iPod; perhaps if I’d experimented a bit longer I’d have found out why. Suffice it to say that I got pretty decent sound out of what has become Apple’s most iconic product, and was thrilled that I could operate it with the remote from the comfort of my chair. Although all of the music on my computer is imported using AIFF, I compress files to 128kbps when I store them on my iPod, to maximize the number of songs it can hold -- so it was unable to match the sound played from CDs through the Neo. Still, when I didn’t feel like switching CDs and just wanted the convenience of hearing a song without getting out of my chair, the Groove delivered. I had a lot of fun during the time I spent with Aura’s Groove integrated amplifier and Neo CD player-DAC, mostly because they sounded so darn good while still allowing me to listen to every digital source I own. Although I think the Groove and Neo could serve perfectly well as the backbone of a reference stereo setup, I suspect that many people will consider using them in smaller, second systems. Either way, a buyer of the Aura separates will be treated to a highly engaging sound whose warmth, midrange clarity, and solid low end offer all the ingredients of a wholly involving listening experience. The fact that they also offer so much functionality and connectivity is just the icing on the cake. Some of their competitors would be wise to follow their example.